Legend has it that during their conquests, Genghis Khan and his man grilled food on their shields over an open flame. In much the same way, Genghis Grill prepares your combination of fresh ingredients and stir fry them to perfection on a sizzling hot grill. It’s a centuries-old tradition you can enjoy only at Genghis Grill – the largest Build Your Own Stir Fry. 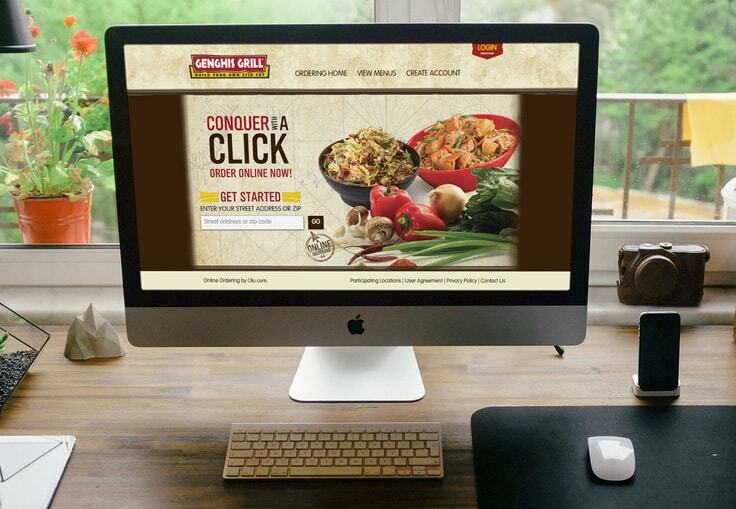 Genghis is one of our largest and longest clients. We are well versed in their culture and branding. 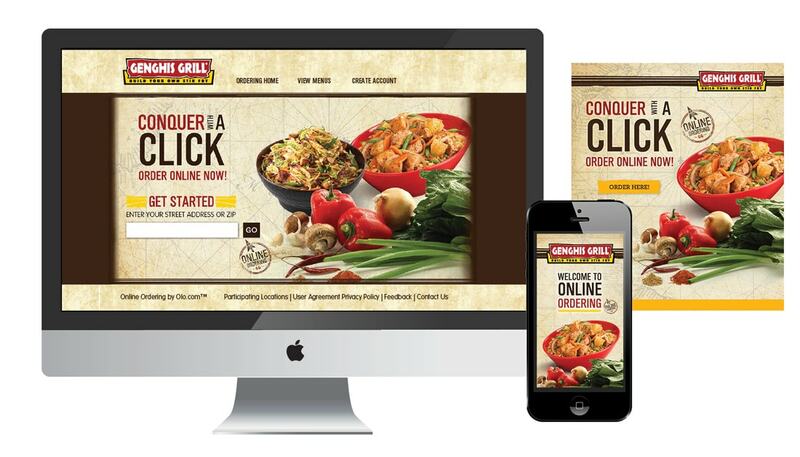 Our online ordering project sums up the bold, fun personality through typography, messaging, elements, and imagery, while calling out the convenience and benefit of conquering with a click.